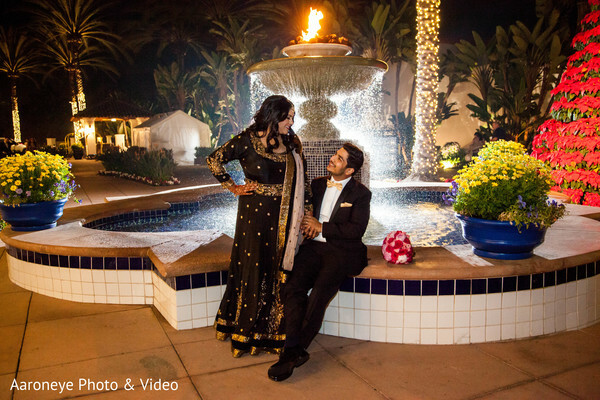 Krishna and Samir's Indian wedding was full of fashion flair (hello, outfits by Manshaa Collection!) 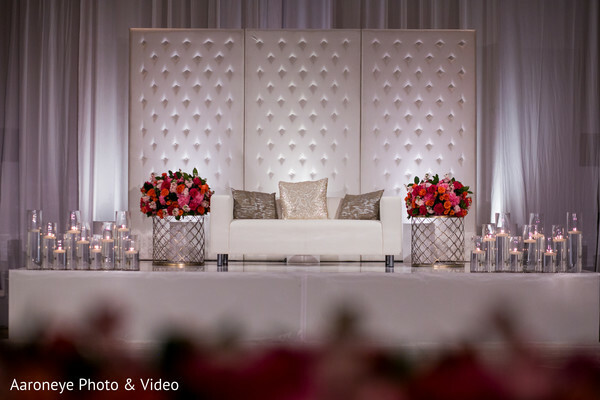 amazing décor, and show-stopping entrances. 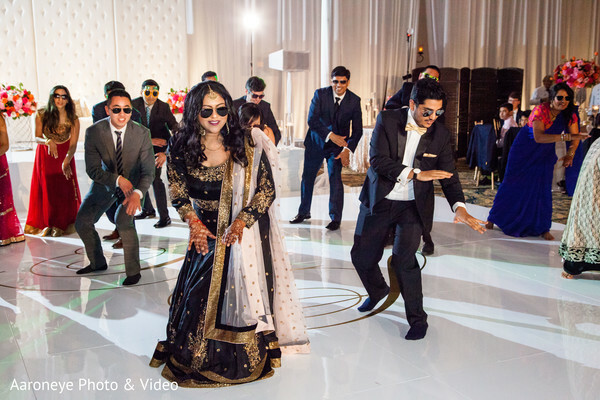 Now it was time for the Indian bride to let her hair down and enjoy the grand finale. 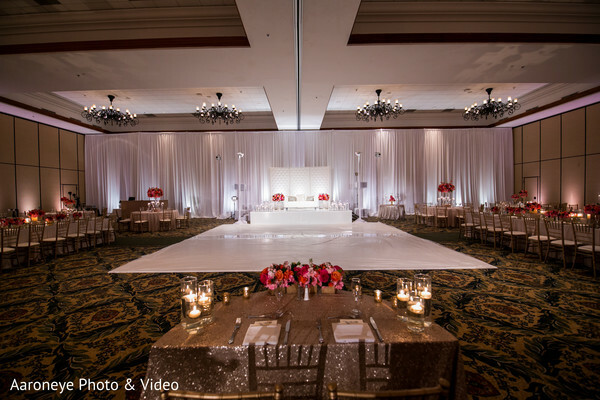 Guest flocked back to the Omni La Costa, this time with the ballroom decorated by 2Create Designs. 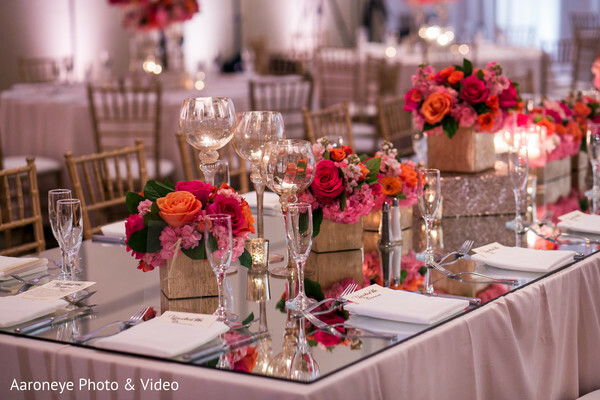 Glittery tablecloths, fresh blooms, and crystal glasses adorned each of the guest's tables. 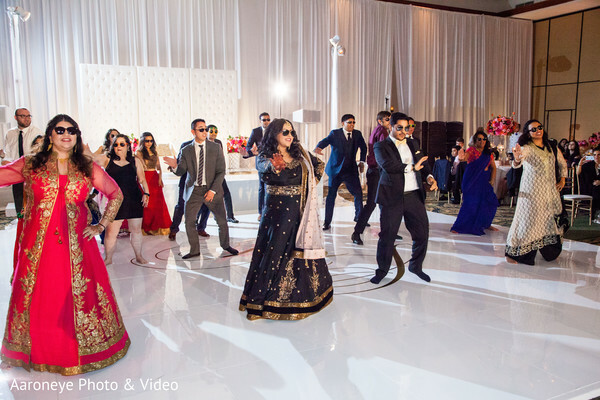 The couple was ushered in with the energetic beats of 3D Sounds with the bride looking absolutely splendid in a floor-length Anarkali. 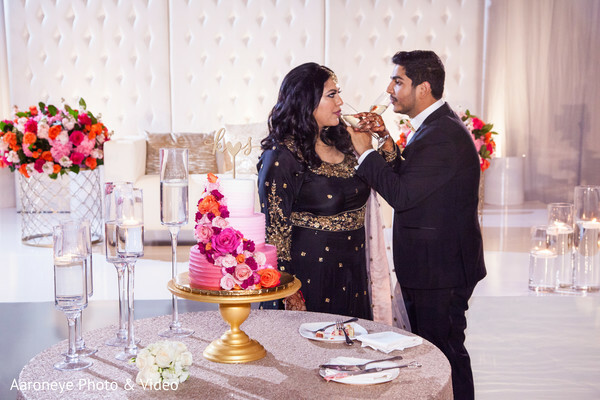 Dolled Up by Lulu and Bridal by Nisha ensured this bride was picture perfect. 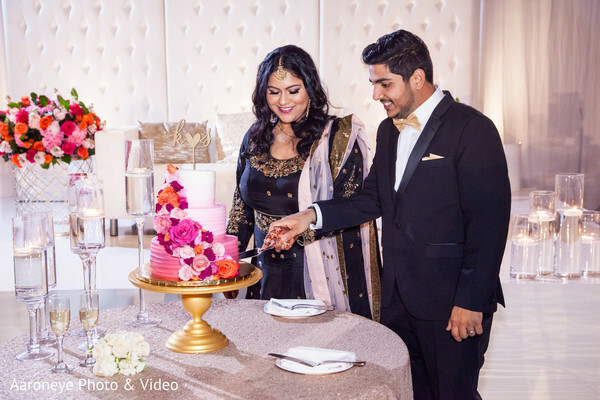 Guests were treated to delectable Indian cuisine whipped up by Manohar's Delhi Palace with Cute Cakes delivering an ombre wedding cake that was oh so whimsical! 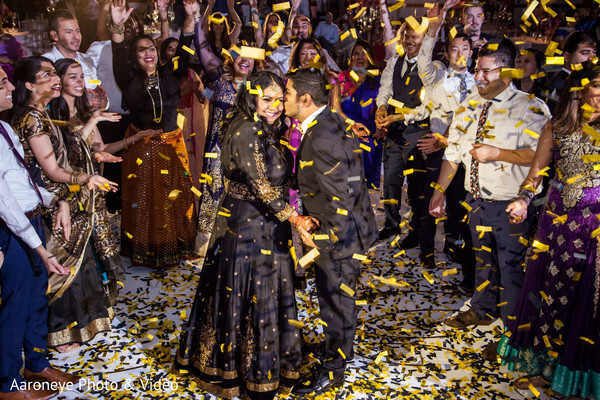 We have the outpouring of love in our gallery shot by Aaroneye Photography - so take a stroll down memory lane! 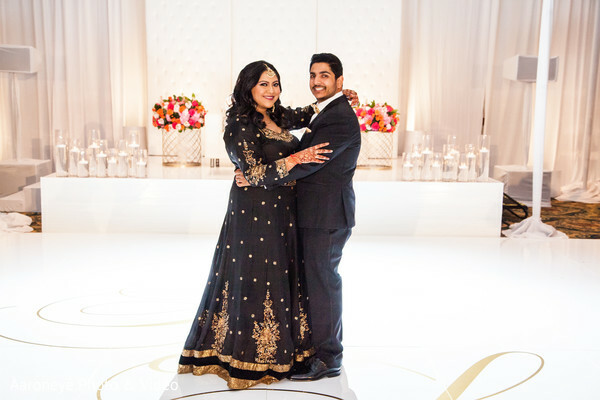 Who can't wait to share their love journey with Maharani Weddings? Drop me a line down below!